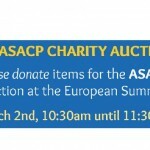 LOS ANGELES (February 17, 2016) — The Association of Sites Advocating Child Protection (ASACP) is pleased to announce an auction to benefit the association at The European Summit (TES). The ASACP Auction will be held on March 2, from 10:30-11:30 a.m. in the hotel’s Sert Meeting Room, and features a pair of very in-demand items: two rooms at the Tempe Mission Palms Hotel and a pair of complimentary admission badges to this year’s Phoenix Forum, courtesy of CCBill. Also up for grabs, courtesy of TES and its sponsors, are two “Meet Market” tables and an entrance pass for each table at The Latin American Summit — a $3,400 value; as well as two “Instant Promo Packages” for The European Summit in Prague, also including one entrance pass each — an $1,800 value. The TES promoters will also project an ASACP logo on the wall during the auction and send out a special dedicated newsletter promoting the auction — a first for TES, which does not do such mailers, even for its biggest sponsors. 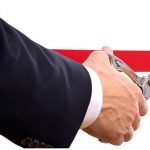 The generosity continues with TES providing ASACP with a table at the event where information about the association will be available, along with prime banner placement, plus free show admission and a complimentary hotel room at the event venue. In addition to the generosity of CCBill and TES, the association is grateful to Cam4, which is sponsoring the flight of ASACP Executive Director Tim Henning so that he may attend The European Summit. ASACP is also calling for additional donations from individuals or companies that can be auctioned off during the event. If you have something you would like to donate please contact ASACP.